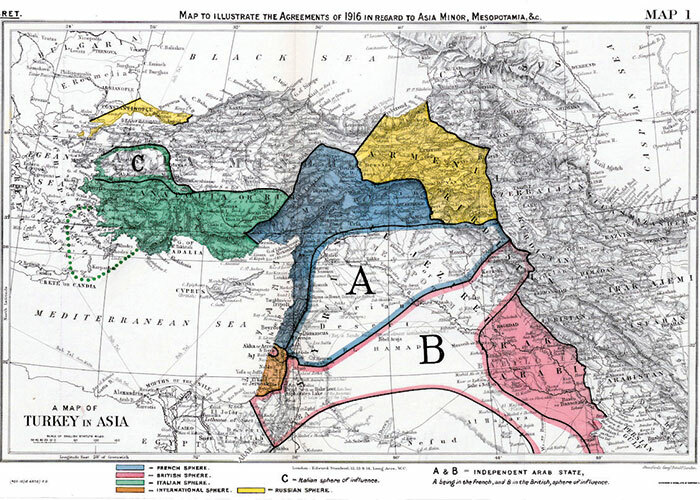 Exactly 100 years ago, the Asia Minor agreement — better known by the names of its architects, Mark Sykes and François Georges-Picot — gave many of the countries of the modern Middle East their present form and shape. It marked the frontiers between Syria and British Mandate Palestine on one front, and the newly created State of Greater Lebanon on another. Another border was drawn up with the newly created Emirate of Transjordan in April 1921. 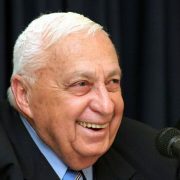 Arab nationalists have always argued that had the Arabs remained united and strong in one country, Western colonialism would not have robbed their riches and Israel would not have been created in their midst in 1948. 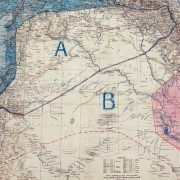 Sykes-Picot was a perfect scapegoat for the Arabs, tailor-made to explain an entire century of failed states and policies. It is true that even if the Arab masses had wanted to prevent the ills of Sykes-Picot, they were too weak to do so. 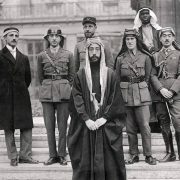 A closer look reveals the implicit complicity of Arab leaders — from World War I to the present — to work within the Sykes-Picot boundaries, perhaps unintentionally giving them de facto legitimacy. Sykes-Picot, after all, followed by the occupation of Palestine, gave Arab generals all the reason they needed to rule by the sword and to spend billions of dollars on armaments rather than universities and science. Sykes-Picot gave them the logic to survive and the reason to rule with an iron grip. None of these powerful leaders did anything concrete to challenge Sykes-Picot. The presidents and kings of the Levant, for all their rivalries, sects and confessions, were more than willing to rule “artificial countries”. Today, those borders are collapsing because both the leaders and their subjects are once again ready and willing to live within their mini-states in what is popularly being called “Sykes- Picot 2016”. The 1916 version gave Syria and Lebanon to France and Palestine and Iraq to Britain. In Lebanon, powerful Christian Maronites rejoiced, as they were given the upper hand in the new state. Muslims were upset, originally preferring to remain part of Syria. But not for long. 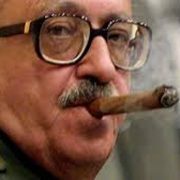 Soon they, too, were totally absorbed within the new border, more concerned with the number of parliamentary and government seats they were getting and the fact that the presidency went to a Maronite, than with the concept of European partition. The French carved Syria into mini-states in Damascus, Aleppo, the Alawite Mountains and the Druze mountains. Damascenes were furious; not because Aleppo now had its own flag and government but because their local economy was ruined by border taxes and tariffs imposed on exported goods from Damascus to the ports of Haifa and Beirut. 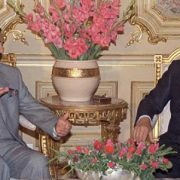 It was dictator Saddam Hussein’s sword, rather than Iraqi nationalism, that kept them united from the late 1970s until 2003. For the last five years, the region’s people have been sleepwalking towards further partition of their war-torn homelands and far more aggressively than anything Sykes and Picot could have imagined. Perhaps because of habit, they are still blaming their misfortunes on the West. Just a few years ago, any talk of partition or federalism was taboo in the Middle East. On the Syrian battlefield, for example, neither side was willing to settle for anything less than full and unconditional control of metropolitan Syria, with Damascus as its capital. That has slowly been changing. Behind closed doors, both camps admit that a full-scale military victory is impossible, as is piecing together a land shattered by five years of war. Instead of pushing for wider Arab unity or a more cohesive Syrian Republic, some Syrians are sinking into medieval subnational and ethnic loyalties, calling for breakaway states that once again challenge Syria’s borders, although this time in reverse. A Kurdish enclave is being carved out of north-eastern Syria, sending shivers down the spine of Turkish President Recep Tayyip Erdogan. A Saudi-backed Sunni enclave is emerging in the Syrian and Iraqi deserts, encompassing Mosul, Ramadi, Deir ez-Zor and Raqqa, aimed at amputating Iran’s expansionist ambitions. A third entity is emerging along Syria’s coast, parts of central Syria and Damascus proper, now part of Russia’s Levant fiefdom. This time there are no French and British diplomats meeting secretly in London to carve out these borders. The engineers now are Syrian and Iraqi citizens, who are, of course, being nudged or, at best encouraged, by foreign powers. As Faisal said, they still give their ears to rumours, and seemingly, still prefer anarchy. 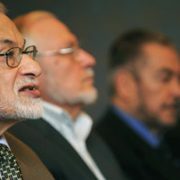 They do not want to live in one entity any more and have jumped on the “Arab spring” to define their new mini-kingdoms. It is Sykes-Picot all over again but with no Sykes and no Picot.